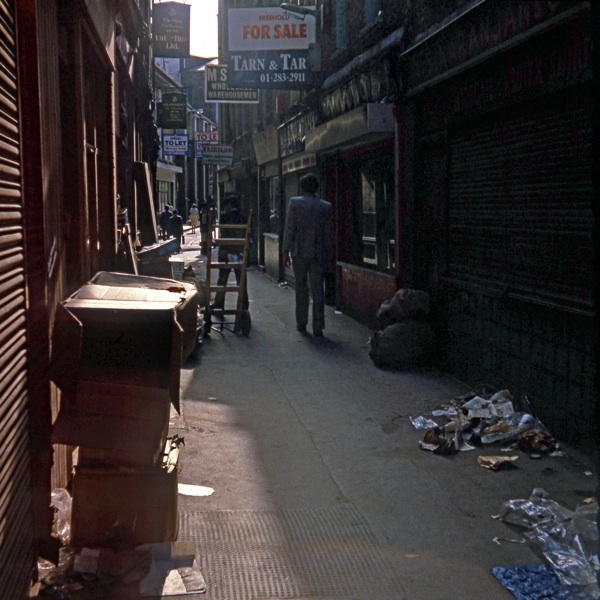 While the weather is grey, enjoy a tour of Spitalfields in Kodachrome courtesy of Photographer Philip Marriage who rediscovered these colourful images of his over the holiday - taken on 11th July 1984 and published here for the first time today. Wonderful sights from London, two years after one of my several visits there. 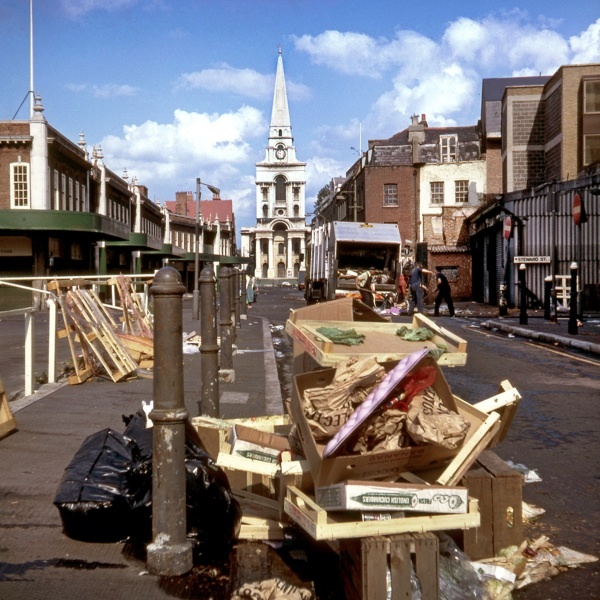 What about the rubbish today…? Wow! 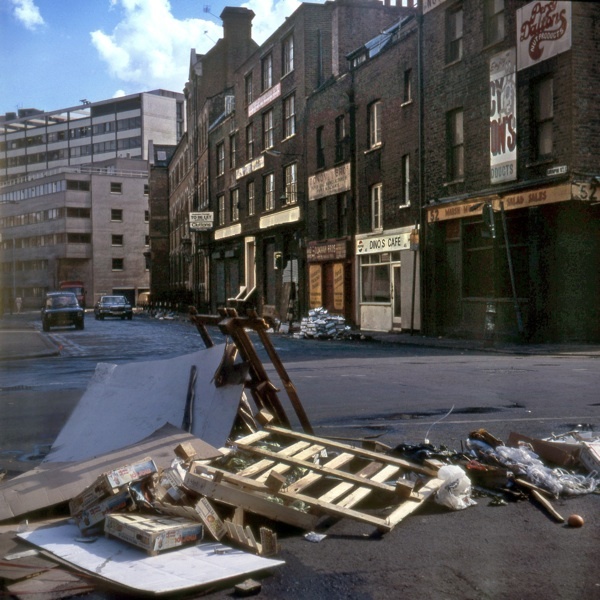 How this area has been regenerated…it looks so forlorn, rundown and unkempt here. Fabulous photos. It was also a great time, I would imagine, to snap up some property bargains if you were in such a position. 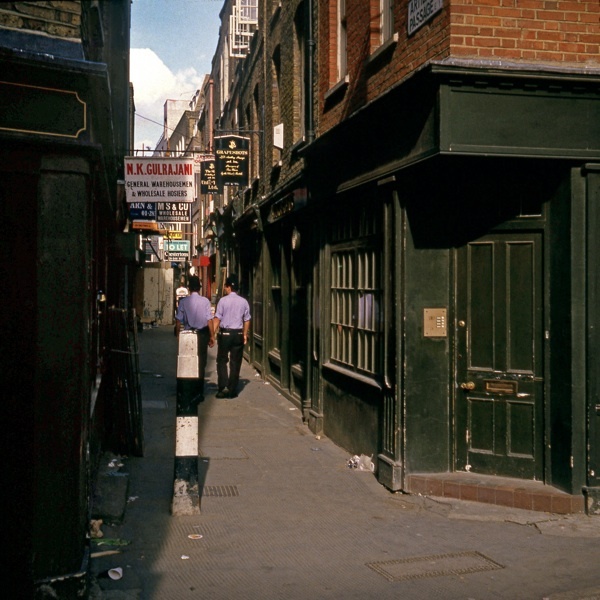 That ‘For Sale’ at the top of Artillery Passage, right beside Raven’s Row, looks very intriguing. Although it’s a little ‘gussied up’ in places now, I’m so pleased that this beautiful area has been cared for as it deserves once more. You do take a good photo, Mr Marriage! Wonderful pics as always. Thank you. 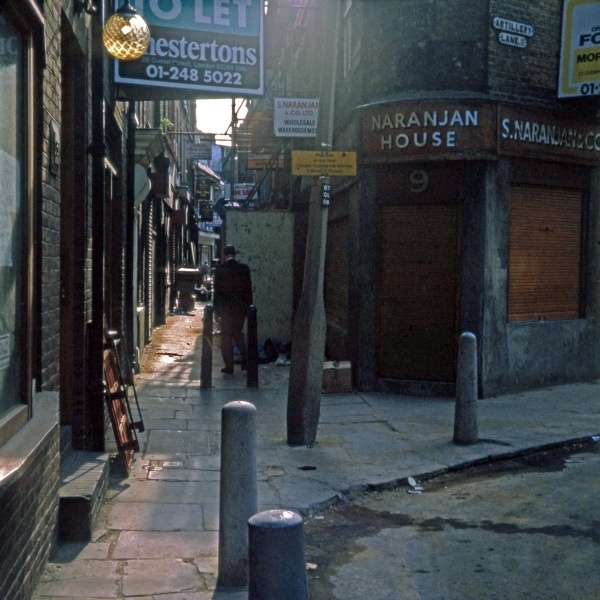 These photo’s have a lovely clarity, I was amazed to see a picture of NARANJAN in Artillery Passage, as a small boy I went in there many times with my late father who used to buy stock from Mr Naranjan during the 1960′s and 70′s, also the green shopfront at the other end of Artillery Passage was Mr Patel’s tie manufacture’s, during the 70′s I would call in there 2 to 3 times every week to collect stock, the thing I find most noticeable from these photo’s is not so much a change in the street layout or buildings but much more noticeable is the way these photo’s show the area as very much more of a “working” place as opposed to today when now with all the bar’s restaurant’s and smart shops it is generally seen as much more of a leisure area, great photo’s. 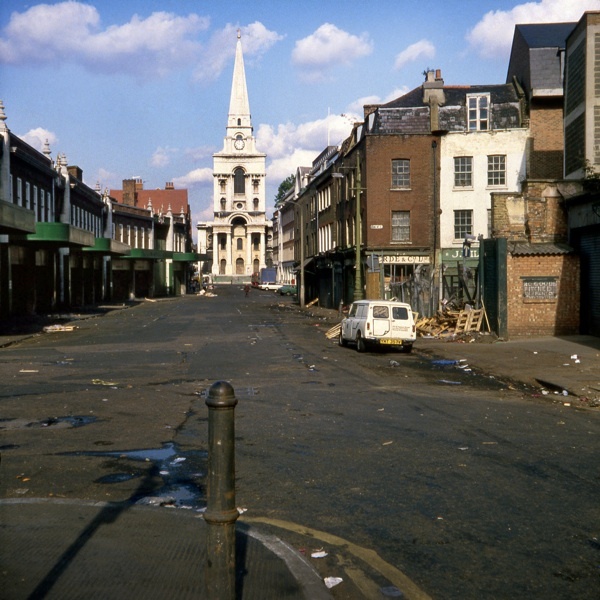 a nice surprise to see the market area in colour , and to see a photo of my old school st. josephs in gun st , it is the only time i have seen it in colour. many thanks for posting. 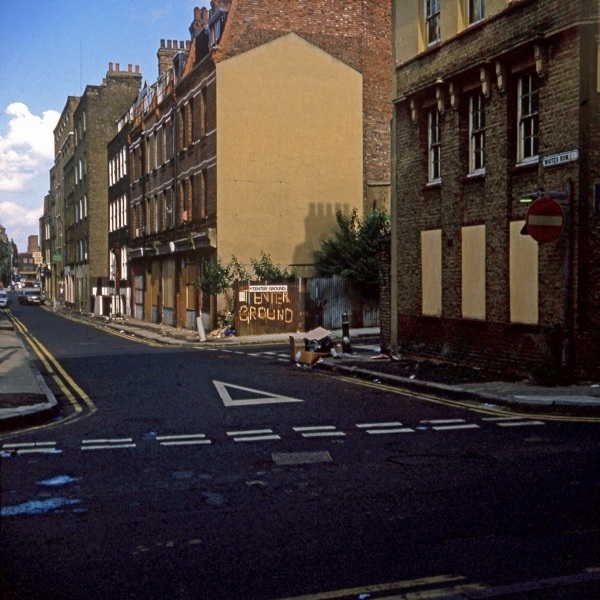 Excellent pictures, a really interesting time to capture, just a few years before the market left for Leyton. I love the boxes with cabbage leaves in the first picture. 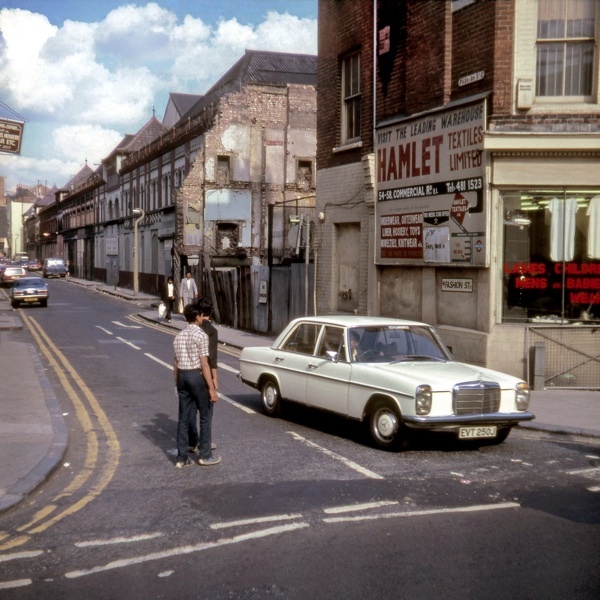 This is like Time Travel and just how I remember the area. A wonderful set. Brilliant set of photos – many thanks for sharing! Oh, love them! Echo the Tony McS comment. 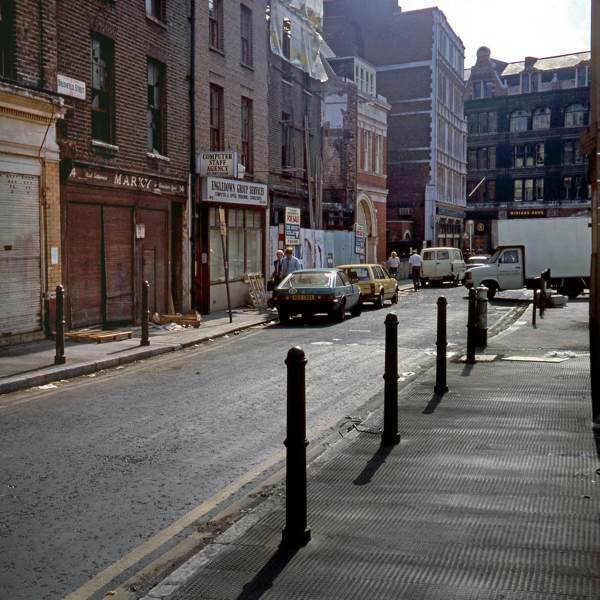 These are precisely the selfsame streets I loved and trod daily to work. 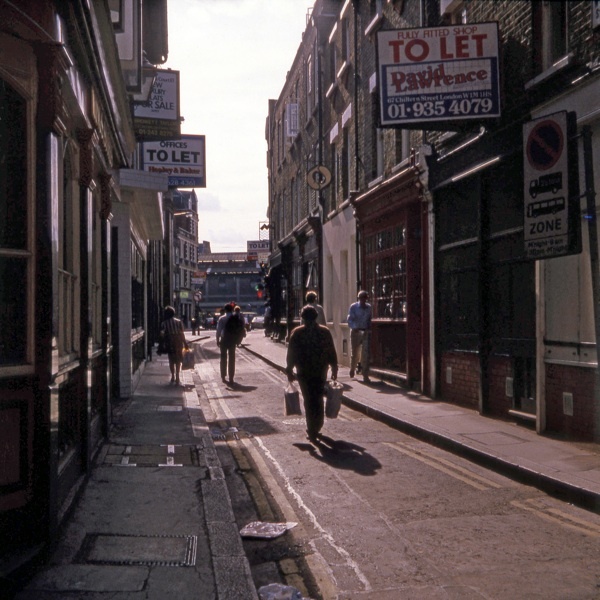 They are embedded in my brain – and, personally, I just abhor the current soul-less concrete & glass so-called ‘regeneration’. 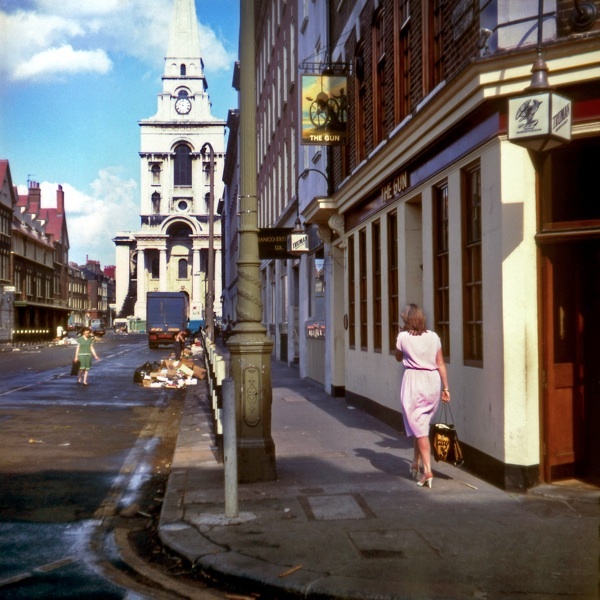 Just how many glorious photographs, I wonder, are lying fallow and forgotten… more, please! what a voyage of rediscovery! Shows how beyond price it is to keep pictorial records. Keep on showing them, and keep photographing. Overwhelming. Stunning. 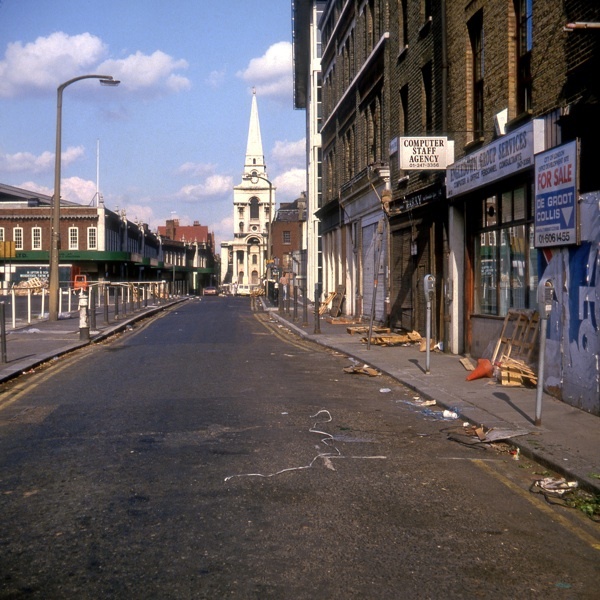 It’s just so sad to look at Spitalfields with the Fruit and Wool Exchange and The Gun pub and more about to go. 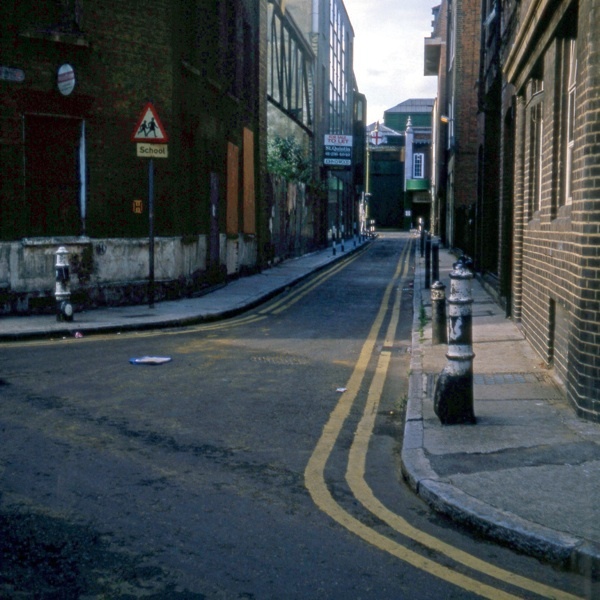 As others have commented, it’s dreamlike to go back to these streets we knew back in 1984. 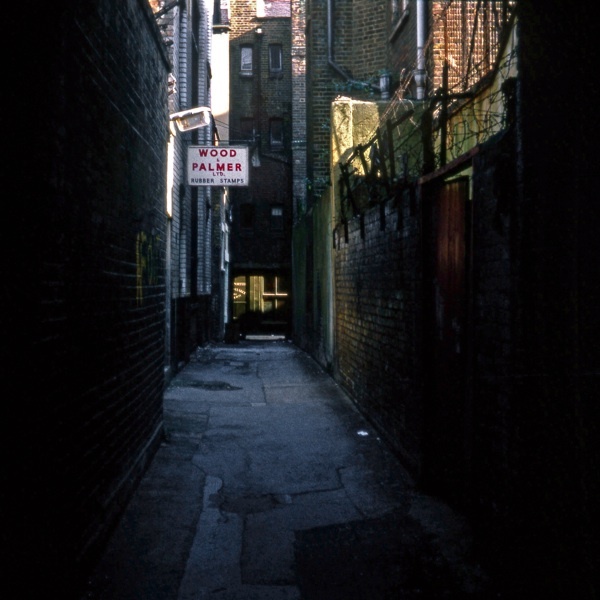 Especially in that Kodachrome colour. Many thanks to the GA and of course to Philip Marriage. It is clear from these responses that several of you have found yourselves transported back in your imagination to the 1980s when these photos were first taken. You might like to know that they were all taken in stereo using an Iloca 3D camera. In the fullness of time I hope to be able to present to the Bishopsgate Institute a set of 3D pairs for their archive – then your imagination will really run riot. 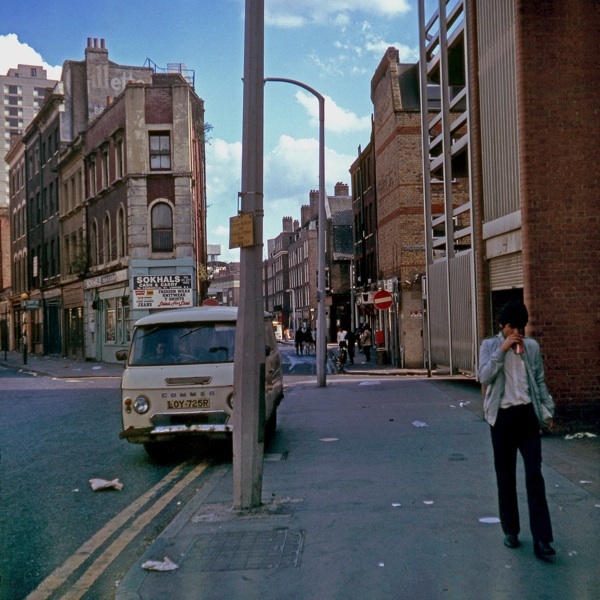 Great Photographs…how great it would be to see these images alongside what the streets look like today. 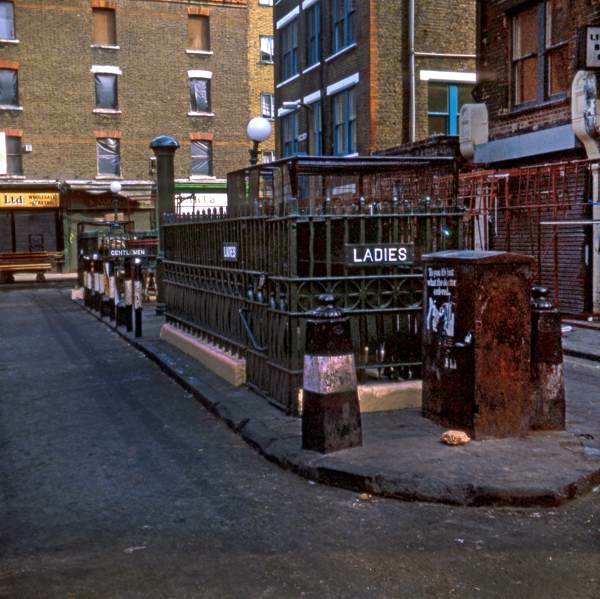 A Then & Now!….absolutely love this blog, keep up the sterling work. What a fascinating collection of images. It clear how much the area has gentrified, but it seems that a lot of the character has been retained. 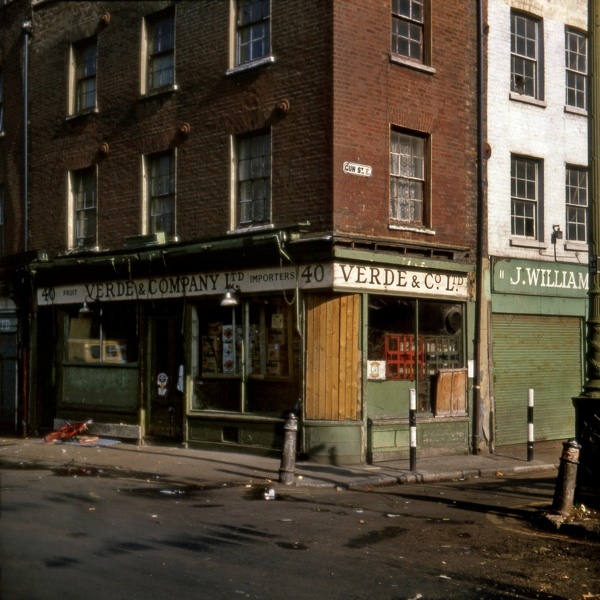 It’s lovely to see images of Samuel Stores on the corner of Gun Street, which is now home to The Drawing Room, our hair salon. Recently we had a visit from an old man who was born in the building. We’ll be interviewing him soon. We’ll be sure to share it! Wow what an insight, if only we’d known then what we know now. 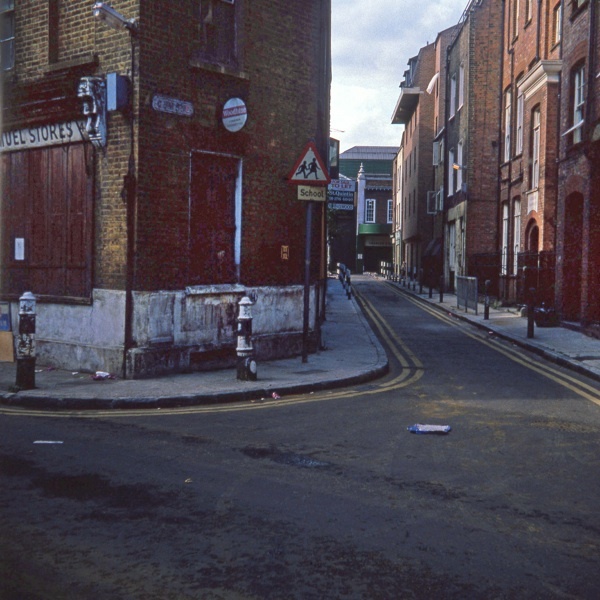 It is great to see, for a change, images of the fairly recent past. Not quite vintage, but not quite “now” either. Things have changed so much even in 30 years! 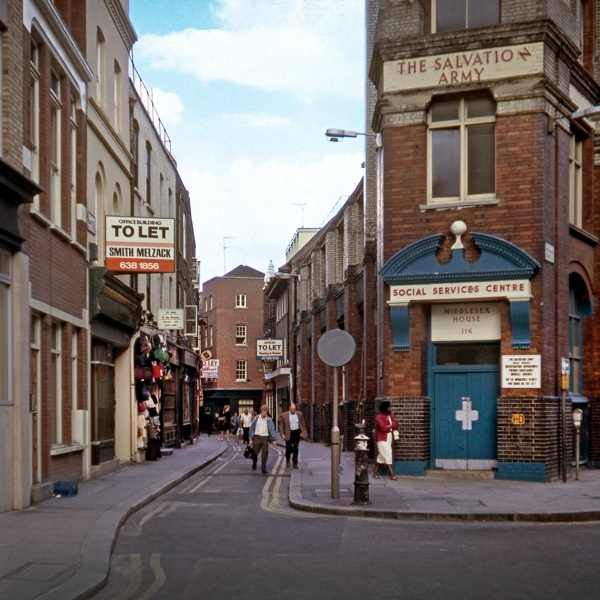 thank you very much for these wonderful photos of my beloved spitalfields, on seeing the photo of leyden st. took me back to the 60s in the top right corner you can see the licenced betting shop sign next door out of picture was a cafe, one afternoon i went in for a cup of tea when a man came in asked for a slice of apple pie when the cafe owner said that will be two shillings the man replied whats this the effin ritz, it made me laugh. 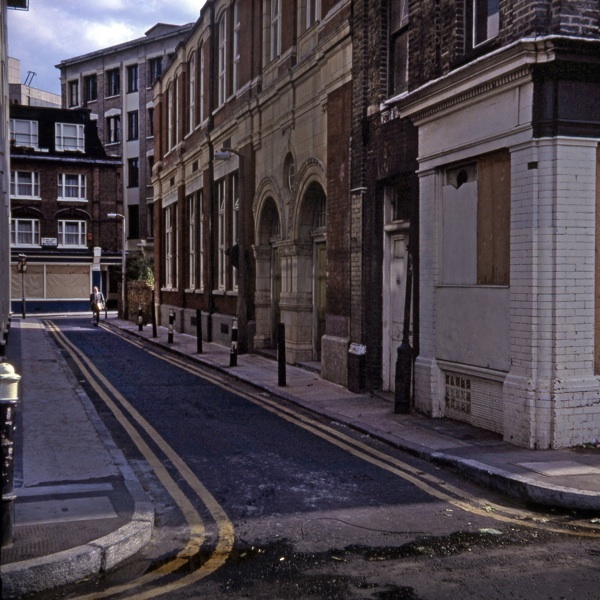 Just watched The Omen III: The Final Conflict and noticed a sign on a building that read, ‘Naranjan House’ and decided to google it to see the location….it’s Artillery Passage!